Quality is what makes Primex Plastics Private Ltd a leader in High Precision Engineering Plastic Components all over India. We are well-known industries in India and around the world for turning out top-notch products.Customers who purchase those products from us will demand the best and we guarantee that we provide best parts in custom injection molded plastics. We only take ownership in the providing best production of quality products to customers. 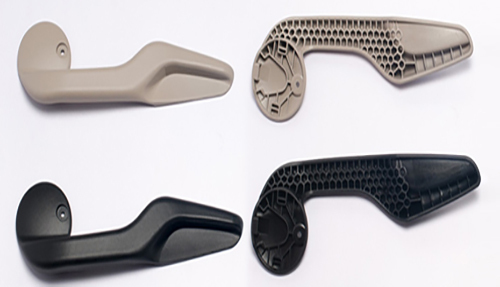 we mainly focus on quality and accountability for each aspect of custom injection molded plastics. Every plastic component will carry an extensive in-house inspection process. Inspections are done mainly to check the best quality at various stages throughout the precision injection molding process from making the machines to create the molds all the way throughout entirely to assembly and shipping of your precision parts. we first design, build, and also maintain each machine, Primex Plastics Manufacturing takes more responsibility for quality in each and every step of the way.We handle any situation that comes up during the production run, keeping your project running smoothly and efficiently. Stage 1: Drying of the raw material. Stage 2: Heating of the material in the cylinder. Stage 3: Injection into the mold. Stage 4: Exit and taking off the part by the robot.